A 13-month-old baby girl died in the fire that broke out in an apartment in South Athens, early Thursday morning. At the time of the tragedy the baby was left alone, while the mother was reportedly meeting with her partner in his car outside the apartment building. The baby was discovered by the Fire Service when neighbors alerted them for the blaze. The baby was transferred to a hospital where doctors could only confirm its death. Police arrested the baby’s mother for the felony charges of neglecting a minor and for setting a fire out of negligence that resulted to a death. The 30-year-old woman is said to have been suffering from psychological problems. A taxi driver with whom the mother was with at the time of the tragedy was detained. The Fire Service investigates the causes of the blaze in the one-room apartment in Varkiza, in South-East Athens. Speaking to investigators the mother said that she had forgotten to tie the baby as she usually did when she would go out. The Fire Service suspects that the baby fell on the electric heating device and that it was either burned alive or its blanket got fire. The woman had given birth to two other babies. One of them died at the age of 2.5 years reportedly from a serious sickness, the second one was given for adoption. She gave birth to her first child while she was still a minor. The baby’s death reveals also the tragedy of a single mother with psychological problems and three children from three different fathers. She was an adoptee herself. 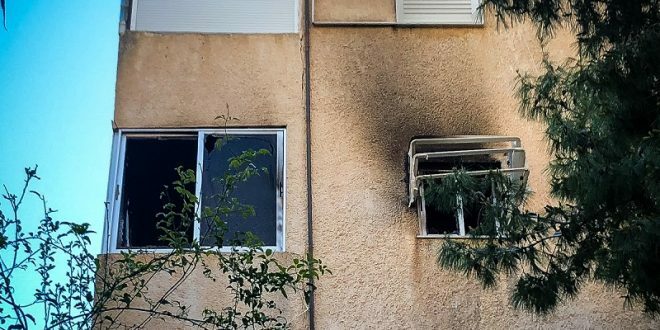 The Fire Service investigates the causes of the blaze in the 40-square-meter apartment in Varkiza, in South-East Athens. It is still unclear how the fire broke out.